July 4th lands on a Saturday this year so you don’t have to end the party early! Jones Beach will host a fireworks show right over the ocean. The Jones Beach Fireworks Spectacular has not been celebrated since 2009, but this year it’s back and it’s better than ever! 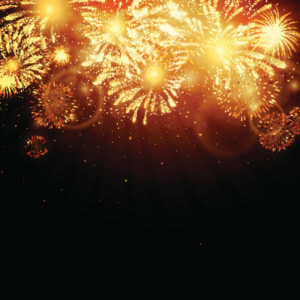 At 9:30 pm come for a half-hour long fireworks display that won’t disappoint. It even features WALK 97.5 FM and 1100 WHLI AM simulcasting patriotic music throughout the show. 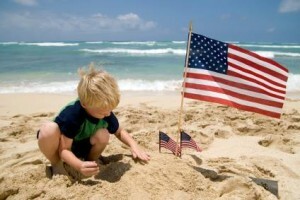 Commemorate America at one of the best beaches on Long Island! There’s always room for celebration at Long Island Ducks games! One of their favorite ways to celebrate is with fireworks by Pyrotecnico! 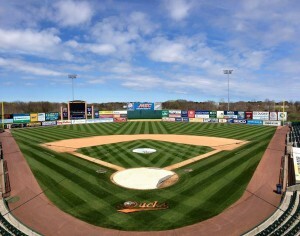 On Thursday, July 2 at 6:35 pm, the Ducks will be hosting the Lancaster Barnstormers and after the game is the first of the weekend Fireworks Extravaganza. Then on July 3-4 the Ducks take on the Somerset Patriots featuring two more performances by Pyrotecnico. Celebrate one of the best Long Island 4th of July events with America’s game! Why not make a weekend out of this year’s Independence Day? Head out to Montauk and relax on the beach. The train heads right to the middle of this little beach town and a village of shops and restaurants surrounded by beaches awaits. This year, Montauk Chamber of Commerce will present, Stars Over Montauk July 4th Fireworks! The heart of the event takes place on Umbrella Beach, behind a number of great ocean front resorts, but the display can be seen from any beach in Montauk. Bring your friends, start a bon fire and enjoy the 45-minute spectacle! Spend some time at one of these great Long Island 4th of July events! All Island would like to make sure you have happy and safe holiday. Let us take you to your event or party! Make a reservation online or call us at a location near you. Happy 4th!